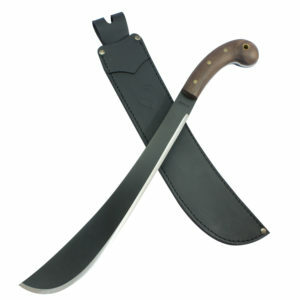 The burriquito machete is a very stout, wide machete good for cleaving and hewing. 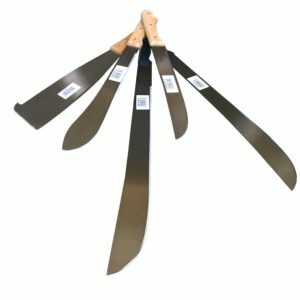 Lacking a long reach, this is really a chopping implement with one of the widest blades available. 1.76 mm. / 1.76 mm. Corvo para toda la vida, “un machetón”, chingon. 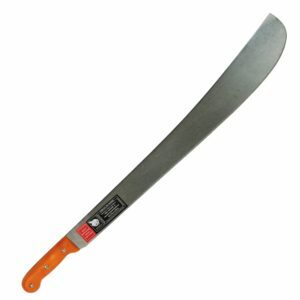 When it comes to chopping this panga excels it’s a little heavier than the average Latin style machete but not too heavy it’s perfect for winter months in the south when we need to chop limbs and medium size branches for fire wood. 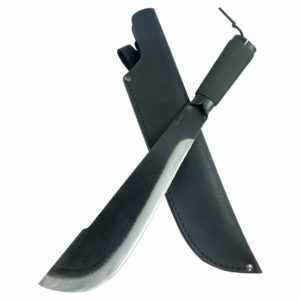 The plastic handle holds up good because I’ve been beating on mine for the last eight months and no problems.Imacasa has a great selection of machete’s hear in the U.S.